Brian Kelly CSI take on Chassis repair jobs that require specialist equipment. Thus allowing you to be getting on with other jobs while we re-align your chassis. We use the latest jig bracket system and factory data dimensions ensuring the vehicle is correctly realigned to orignial factory specification. 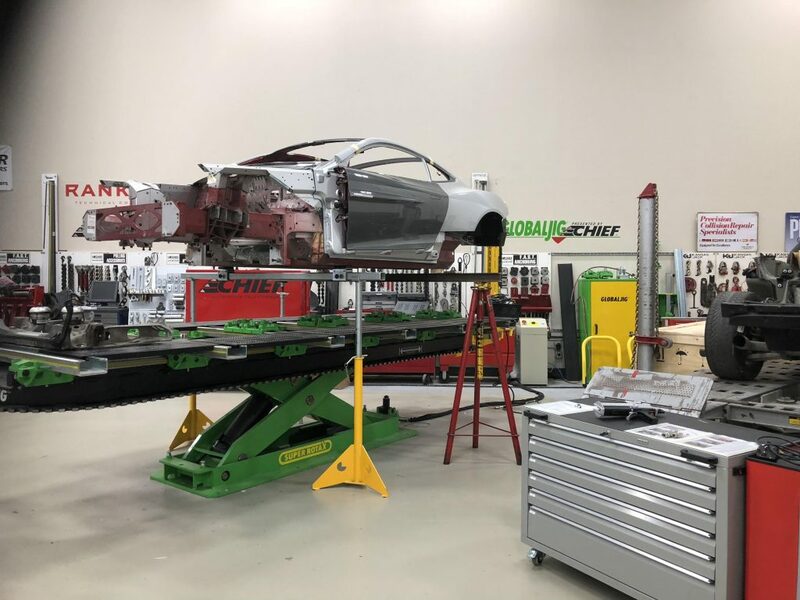 We have extensive experience in repairing vehicles chassis frames.Using specialist chassis equipment we can repair out of aline, twisted and damaged chassis’s. Vehicle chassis straightening, chassis repairs, chassis inspections, wheel alignment and axle straightening. we can repair and check 4×4 jeeps, All Vans, Cars, Trailers and anything with a Chassis in need of straightening / repair or alignment check!